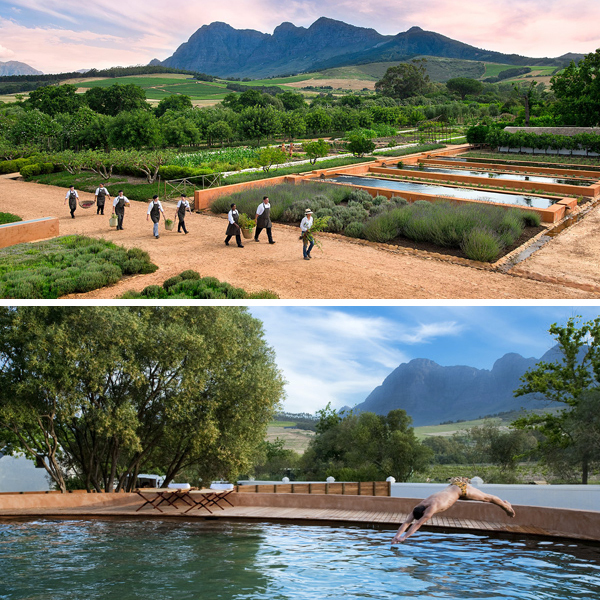 Every aspect of this stunning South African farm impresses: organic gardens, a remarkable restaurant, and exquisite suites and cottages that blend history with contemporary design. 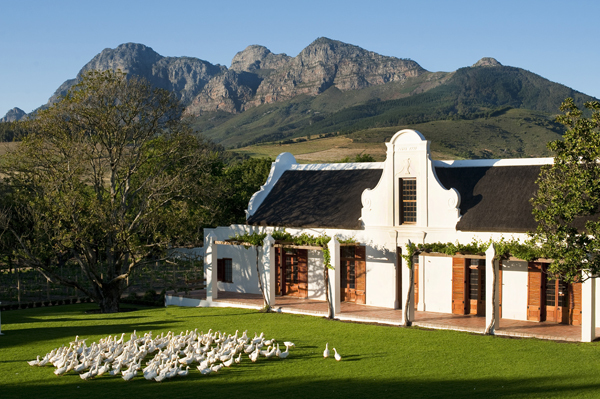 Set in the Winelands just 45 minutes from Cape Town, it’s a wonderfully peaceful base for some food-focused romance and relaxation. There’s plenty on offer to lead you into a state of complete tranquillity. Take a wander through the large garden (there are daily tours), relax by the pool, or indulge yourself with a Jacuzzi, sauna or treatment in the small but lovely spa. Rooms: The 1- and 2-bedroom cottages look as if they’re straight from a glossy magazine – not surprising considering owner Karen Roos was formerly the editor of South African Elle Decoration. We particularly love the gorgeous and well-equipped kitchens, which are surrounded on 3 sides by floor-to-ceiling glass looking out over the garden or vineyard. 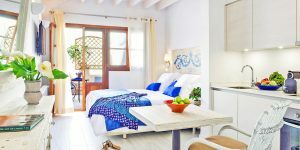 The suites offer the same interior style as the cottages, with vintage four-poster beds, angle-poise lamps and roll-top bathtubs – all cocooned in crisp whites and bare, pale wood. 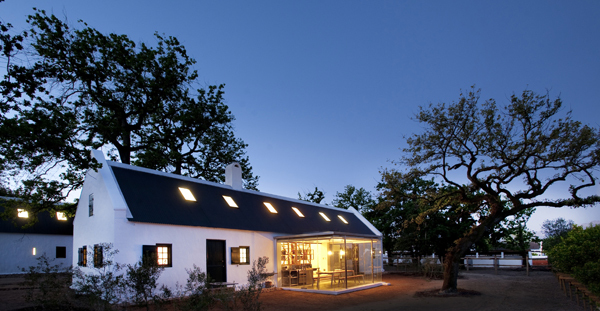 For larger groups, we love the stunning 5-bedroom Cape Dutch homestead. Since our last visit, we’ve also heard of 9 gorgeous Farmer’s House Suites with access to their own indoor-outdoor swimming pool. 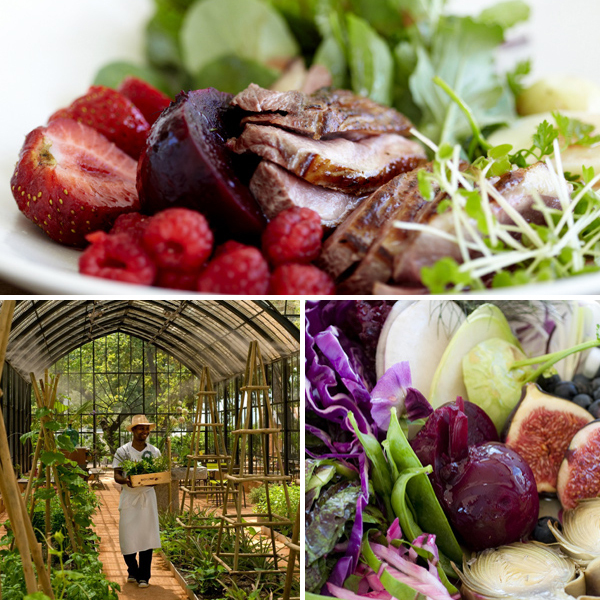 Food: You only have to look at the beautiful 8-hectare garden, which brims with citrus orchards, giant pumpkins, aromatic herb beds and plump vegetables, to realise that something very special is on offer at Babel, Babylonstoren’s restaurant. The talented chefs spin the raw ingredients into culinary gold (bright salads, deliciously decadent mains), and veggies are just as spoiled as meat eaters. Breakfast continues the tone with tasty juices and morning treats such as granola tarts with Greek yoghurt and fresh fruit. Top tip: Do the morning garden tour. Being shown the orchards and plants was a highlight of our visit. 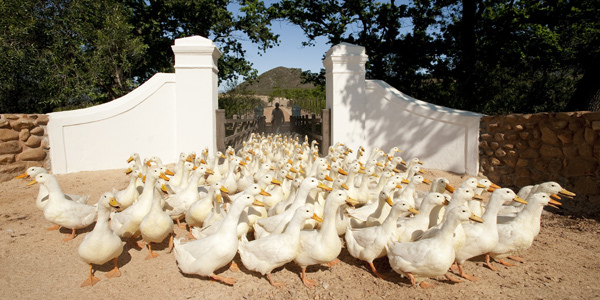 If you get up early enough, you can also help herd the ducks onto their patch for the day. And a row on the dam at sunset with a loved one and a bottle of something chilled isn’t a bad way to wind down.